Vikki: Trying to find a venue when we were 5000km away was proving to be pretty difficult! We'd also left it slightly late in true Vikki and Fred fashion. We saw photos of Broyle Place and thought the house and grounds were absolutely beautiful! So we skyped with Betty who is the Broyle Place events coordinator and booked with her straight away. Throughout the whole planning process Betty was amazing, beyond helpful and we couldn't have done it without her! We only saw the venue for the first time a week before the wedding and it was even more beautiful than in photos. 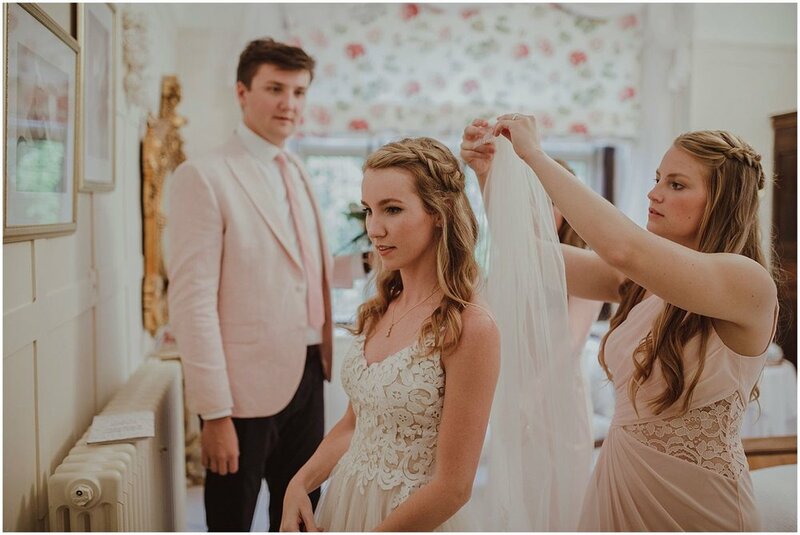 We couldn't have been happier with the venue and will forever recommend Broyle Place! Vikki: We wanted to go with a simple, botanical theme and found Minted which is a really cool online stationary provider that supports independent local designers and artists all around the US. They have lots of unique, pretty designs and the whole process was really easy and everything was delivered right to our door! Vikki: We were absolutely in awe of how beautiful Kerrie's (Highgate Florist) flowers were! She took our original ideas and went above and beyond. The botanicals made up of eucalyptus, ferns, rosemary and ivy combined with blush and cream roses, lisianthus, hydrangea, sweet peas and babies breath were so gorgeous and went perfectly with our theme. Kerrie and her team did a fantastic job. Vikki: The dress was probably biggest challenge of the wedding logistically. There are no bridal shops in Cayman, so in April (3 months before the wedding!!) my mum and I planned a girls weekend in Miami in April to do some dress shopping. I tried one so many nice dresses that were beautiful, but we hadn't found "the one". Our last appointment was at Coral Gables Bridal and as soon as I slipped this Private Collection dress on I loved it. There was something magical about the floral lace detail on the bodice and the layers of soft, floaty tulle. It was actually the absolute opposite to what I had imagined myself in, but it was the one! Vikki: Circa had such a fun menu and totally got our taste. The food was delicious and so beautifully presented! We loved the quirky evening food options from churros, smores and gelato to a pizza van. 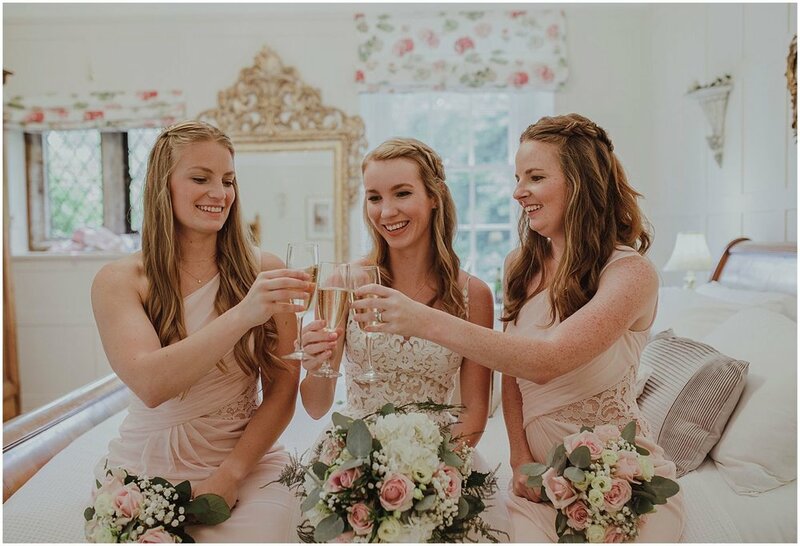 Vikki: Catherine's (makeup artist) did a great job and we loved our natural makeup which stayed in place for the whole reception, even with the rain! Our hair was done by Catherine and her colleague Poppy. Vikki: Liz at Sylvia's Kitchen completely got our vision and made the most beautiful cake! We wanted to keep it simple with ivory buttercream, greenery and a few roses. But most importantly it was absolutely delicious!! We decided to have three tiers, one of banoffee sponge with banana and caramel buttercream filling, one of madagascan vanilla sponge with whipped madagascan vanilla buttercream and raspberry conserve and one of belgian couverture chocolate sponge with whipped belgian chocolate ganache and salted caramel buttercream.